This simple Italian dinner menu will inspire kids to run their own Italian restaurant at home for their family. Inspired by Blaire Wilson, American Girl’s doll of the year. The best family dinner we have ever had started with a jar of tomato sauce and ended with a full blown Italian restaurant in my kitchen. It was a crazy busy night. I hadn’t been to the grocery store but I needed to get dinner on the table fast. I rummaged around our pantry looking for anything that might work. I found a box of pasta, a jar of sauce, and some frozen peas in the freezer. Done. Spaghetti is one of Little Pea’s favorite meals. When she saw the pasta, she got excited and asked if she could help make dinner. While we got the water boiling, my sweetie asked me how to say “Hello” in Italian. She was intrigued by the word “Ciao,” which lead me to playing Andrea Bocelli’s Time to Say Goodbye on our kitchen speaker. The next thing I knew, there were paper menus at the table, place cards that said “Ciao” at each plate, lit candles and pretty paper napkins, a sign that said “Little Pea’s Restaurant” on the front door for Tim to see when he got home, and my little chef was reviewing her big sister’s resume as she applied to work as hostess at the restaurant. It all happened so fast and was so utterly unplanned but it was the most fun our family had at dinner together in ages. My kids think about cooking like they do playing. It’s not something they do every single day, but when they do get in the kitchen, our focus is on fun. Which is exactly why I fell in love with American Girl’s newest doll of the year, Blaire Wilson. Blaire lives on her family’s farm and helps them with a farm-to-table restaurant. You can read all about why I think she is the very best American Girl doll over here. Our friends over at American Girl were kind enough to send us Blaire’s kitchen set to test out on Little Pea and see what my own chef-in-training thought of Blaire’s restaurant. I’m not sure which of us was more excited–Little Pea or me. We were both squealing over all the adorable details in Blaire’s kitchen set. The very first thing I noticed was that the tiny food pieces were things that *I* would love to eat: salmon, pasta, cornbread, and a caprese tart. No pizza, no chicken fingers, no pb&j. Blaire and her family cook restaurant-quality food with an emphasis on garden produce. This month I’m celebrating Kid Chefs everywhere. 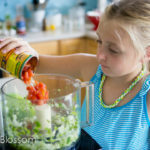 I want to encourage your little ones to play in the real kitchen like mine do. 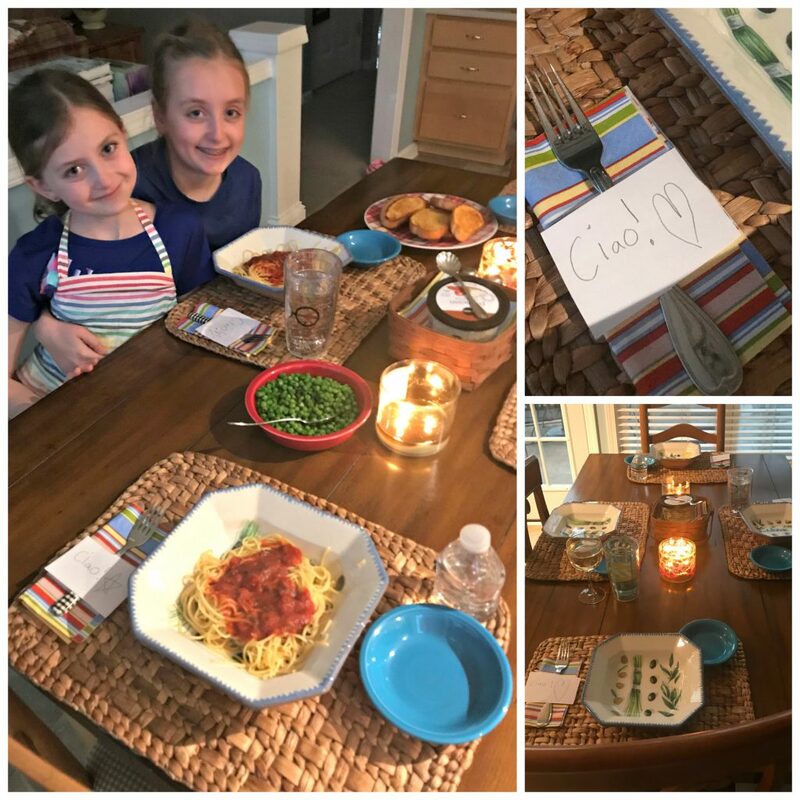 I was so inspired by Blaire’s storyline and her amazing kitchen, I developed a kid-friendly Italian dinner menu based on her food for your kids to make for you! Paper placecards and restaurant sign, not included. Ha! When looking over Blaire’s menu, I knew I wanted a pasta dish for this kid-friendly Italian dinner menu. 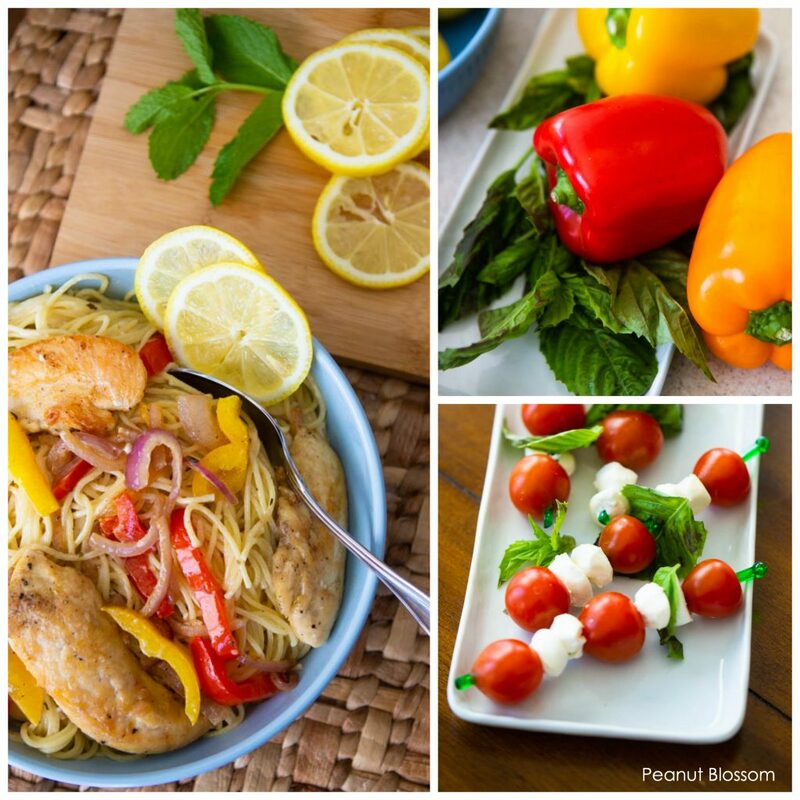 After chatting with my girls, we decided to create a buttery chicken scampi with fresh garden veggies for the main course. I turned Blaire’s caprese tart into caprese kabobs, a super simple appetizer or side dish to go with the scampi. And inspired by Blaire’s adorable little pitcher set and mason jars, we finish our meal off with a homemade strawberry lemonade. 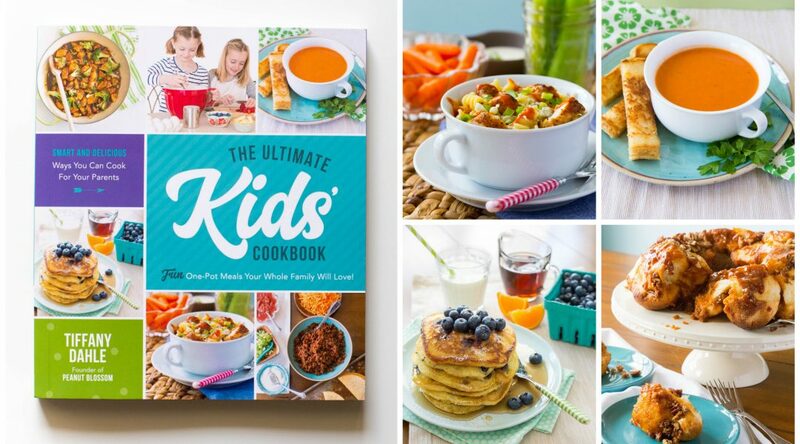 All three of the recipes are written in the same style as my children’s cookbook: The Ultimate Kids’ Cookbook. I want you to be able to print them off and hand to your kids. Give them some ownership and control over producing this Italian dinner menu and watch them glow with pride! 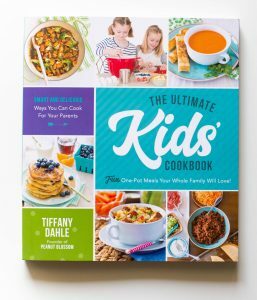 In honor of our Kid Chef Month, my publisher is giving away one copy of my book EVERY WEEK in April! Each winner is announced on Friday and then the next week’s giveaway starts up. You can enter to win your own cookbook right here. 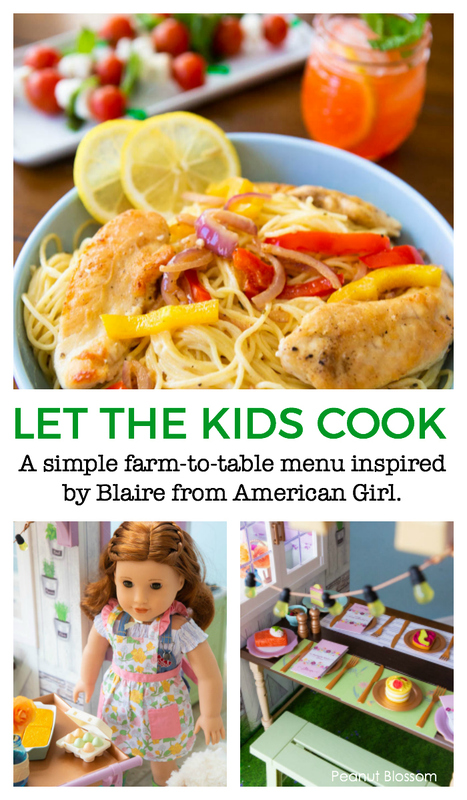 American Girl also has offered to send a Blaire doll and book to one of my lucky readers! Her winner will be announced on May 1. 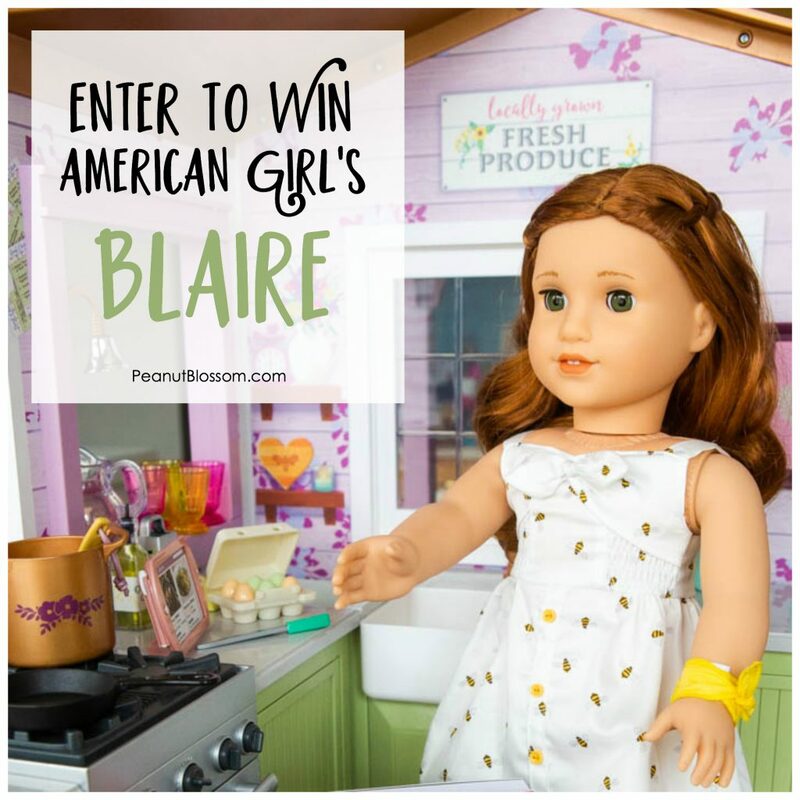 Enter to win a Blaire doll right here. Fresh strawberry lemonade: Get the full recipe here. These simple Italian caprese kabobs are perfect for using up the tomatoes from the farmer’s market. 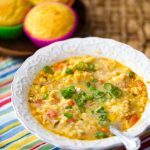 The perfect summer side dish for kids to cook. Gently rinse the cherry tomatoes under cold water. Pat them dry with a clean kitchen towel. Rinse the fresh basil and gently pat it dry with the towel, too. Create an assembly line station by placing the tomatoes, the basil, and the mozzarella in a line on your counter next to a pile of kabob skewer sticks. Working one skewer stick at a time, carefully poke one tomato and then one mozzarella ball onto the stick. Add a fresh leaf of basil and then repeat until the stick is filled. Place it on a pretty plate or tray. Repeat until all the kabobs are filled. The dish is most delicious when everything is served at room temperature. You can serve it with a tiny drizzle of olive oil or balsamic vinegar glaze, we love the one from Trader Joe’s. A sprinkle of salt & pepper is also delicious. This recipe looks long, but I have detailed instructions for young chefs. Parents, you can help by preparing the peppers and onion and draining the pasta but your kids really can do the rest!